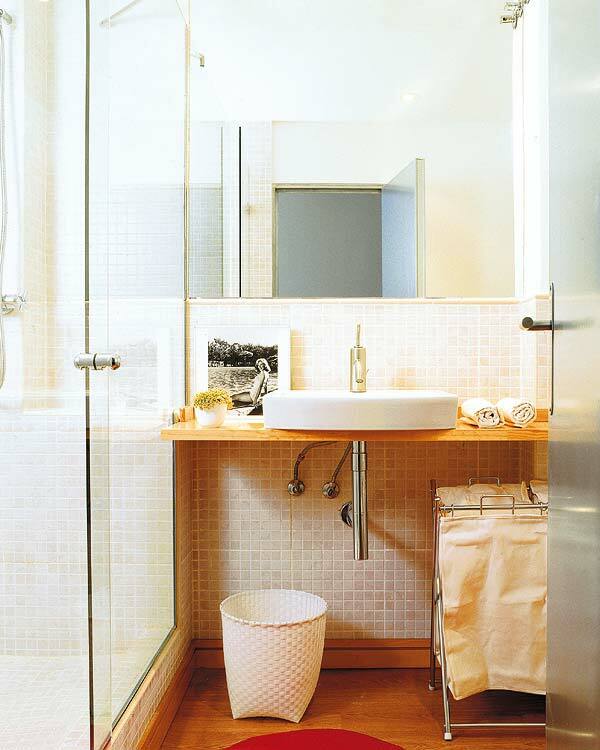 Mix and Chic: Using wood countertops to create warmth in contemporary bathrooms. Using wood countertops to create warmth in contemporary bathrooms. Adding light wood countertops to a neutral bathroom warms up the space while maintaining an overall bright and airy feeling. 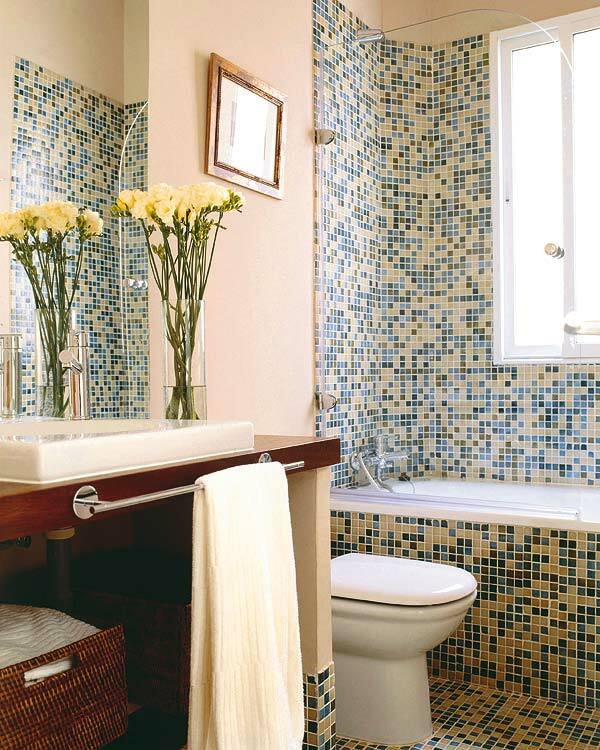 Similarly, adding dark wood countertops also helps to create warmth in a mosaic tiled bathroom. By putting in both his and hers bathroom sinks on light wood countertops, it makes the black and white space feels warm without compromising the overall sleek style. Solid wood countertops or butchers block surfaces are generally excellent throughout beauty and also operate. This specific counter-top is normally created from challenging good ole’ maple as well as walnut that offers enjoyable glow for you to just about any kitchen. You may find plenty of myths that talk about the cons of wood countertops like staining, scratching and warping. However, you can prevent such things happening to your wooden countertops by varnishing it with a high quality mineral oil. This will prevent any damage to your wooden countertops.